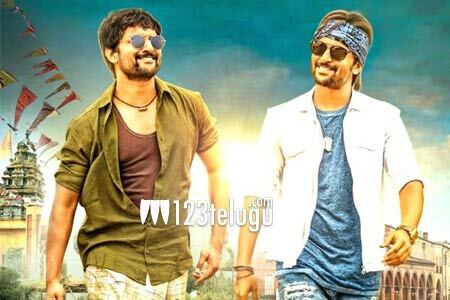 Thanks to his back-to-back hits over the past couple of years, all eyes were on Nani’s latest release, Krishnarjuna Yuddham. The film released yesterday and received a modest response from movie lovers and critics alike. The film utilized the craze and posted decent collections on its opening day. In Nizam region, Krishnarjuna Yuddham collected a share of Rs 1.90 Crs share on day one. The film is expected to have collected nearly 6 crore worldwide share on its opening day. Nani’s dual roles, his comedy as a Chittoor district youth and the high technical standards were the major highlights in the movie.